How is Fine Furniture Made? I use traditional hand tools when making furniture, and believe that wood responds so much more positively to them. 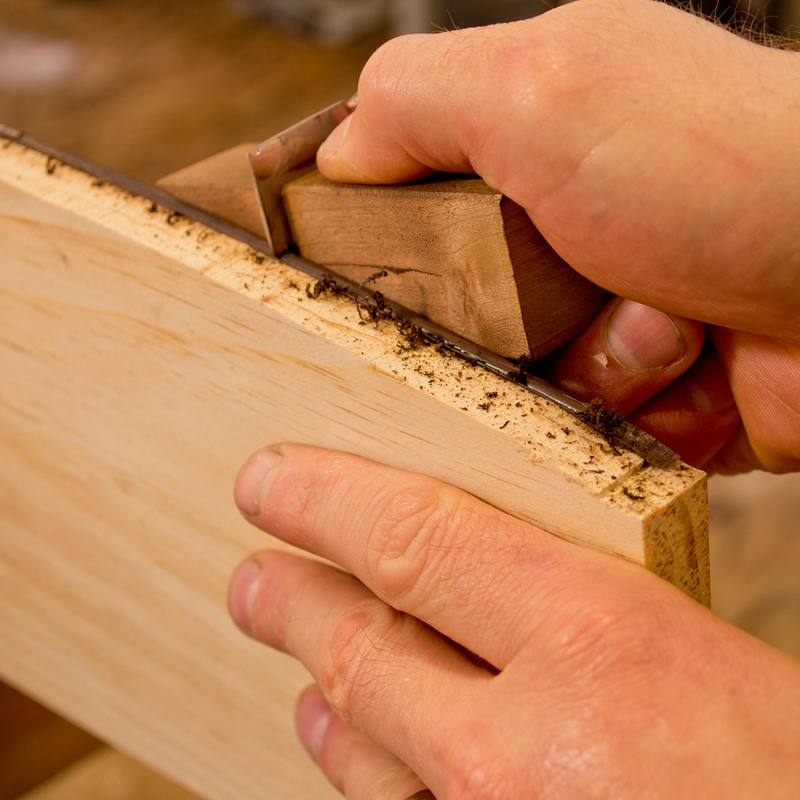 Hand tools allow for more precise joinery, smoother surfaces and increased clarity of wood grain; qualities that become overwhelmingly obvious when comparing handmade furniture to furniture made primarily with power tools and sandpaper. When used with a sharp iron, a hand plane has an amazing affect on wood – the wood surface almost glows and reflects light like a mirror. In fact, you can see a reflection of yourself in the surface of properly planed wood. Don’t get me wrong, I do use power tools. But only to rough mill material, to waste away large amounts of wood in preparation for final shaping and smoothing with planes, spokeshaves, chisels, and scrapers.